Ze Wandering Frogs received a great news – we have been nominated for the Liebster Award by fellow blogger Elaina from Nomad Ventura! Thank you very much, Elaina, for the honor! This comes obviously as a surprise as we are newcomers on the travel blog scene, but this is exactly what this award is about. Purely a blogger by blogger award, the Liebster Award is about recognizing the efforts of newbies and welcoming them into the travel blogosphere. The true origin of the award is unclear (mystery, mystery) but the German word Liebster means “beloved” and is a nice gesture indeed. Being recognized by your peers is highly motivating. It would appear that the hours spent writing original content, developing a social media presence and learning new skills were not in vain! Even if this award is little known compared to the Webby awards, it fits the small shoes of the small travel bloggers that we are today. With the hope that one day we will wear bigger shoes and make bigger stride in the travel world! Part of the recognition process is to answer 11 questions submitted by the blogger who nominated us, and, in turn, nominate other bloggers – sharing the love if you will. Some might say this is a pay-it-forward-marketing-pyramid-scheme. True to some extent. I also think it suits the supportive attitude of the blogging community and it has “a feel-good” aspect that we fully accept at this stage. Have you always wanted to be a blogger? A long-term traveler, I was always asked for travel tips and found I liked to share our experiences and provide guidance to prospective travelers. But I only started to write about our travel early 2015 for my work and highly enjoyed it. This led me to create our own travel blog, and I have been writing more intensively since July. Bruno is the keen photographer and video hobbyist in the team and happily embarked into the journey. What is your greatest blogging achievement to date? It’s hard to say with barely 6 months of existence, but I would say we are quite proud of our website. Plenty room for improvements but we built it from scratch, and put lots of hours into it. From a purely blogging perspective, I am proud of one of my recent posts A Winter Adventure in the Arctic: Tundra Camping & Dog Sledding, in regards to the writing, photos and YouTube video. The post was even picked up by Destination Inuvik to be featured on their site, which I am very thrilled about. What is the most difficult part of blogging to you? Understanding all the elements of blogging required to get noticed has been a steep learning curve. Writing is one thing, but this is just one part of the puzzle, even if obviously a very important part. We can’t be successful if we don’t create great content (history will tell if our content is great or not, whether we become successful at it, … or not). What qualities must you have to become a blogger in your opinion? Patience, tenacity, organization and a passion to becoming a good writer with stories to inspire. Who or what inspires you? Travel is our inspiration. To discover new countries, try new activities, and learn new cultures. Going beyond our comfort zone is both a challenge and thrill. Have you made many connections through blogging? I definitely enjoy “meeting” like-minded people, sharing stories as well as tips. The blogging community is huge and has been incredibly supportive of new bloggers like us. If you could only do one thing for the rest of your life what would it be and why? Keep traveling – so much to see and experience in the world. The more we see, the more we want to see. Is there any aspect of blogging that you hate doing? For all pieces of social media to work together is somewhat of a challenge and can be frustrating. This is the downside of so many free apps. You need to go through lots of trials and errors by yourself to get it to work (or ask your friendly blogging community if they went through the same process…). I would also acknowledge Bruno’s endless help on this, as the official IT Chief of the team. What was your biggest failure? My first blogs are probably where I failed the most, with a very methodical Day 1, Day 2 – minute by minute writing style. I am trying to move to something less timely that reads better. Still a daily struggle. As newly nominated bloggers, please follow the rules and share the recognition with up and coming travel bloggers. Reply to the below 11 questions, nominate your own 11 bloggers and provide them with your own questions. How has your experience blogging been so far? Likes & dislikes? Are you a full-time… blogger, traveler or employee who dreams of traveling full time? What is your preferred setting for blogging? On the sofa by the fireplace? On the kitchen table with papers spread around? At an internet cafe in a busy downtown? Or in a guest house deep in the jungle? What is your most precious blogging equipment (besides a laptop) or app? What is your working drink? Coffee, tea or something stronger? Where would you live if you had the option to be anywhere in the world? 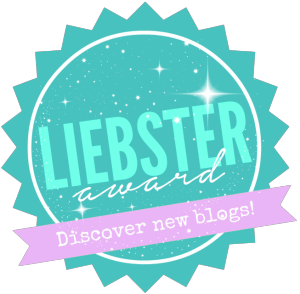 Write your own Liebster Award blog post, displaying the Liebster Award logo.